Can Floating Engineered Strip Flooring Make Your Home Comfy? What makes homeowners attracted to wood floors? There is something special and enchanting about it that it creates a deep impact. It brings out the extraordinary and a unique feeling to your home. Since, flooring occupies a huge area of your home, so, it is quite necessary to make a choice and too with a cautious approach. Make sure you don’t miss one of our best articles on Engineered Hardwood Flooring for your home! Do you like the look or physical features of a wood? Is your budget below the standard and beautiful hardwoods? Well, there is always a solution in front of you. Try the floating engineered strip flooring. This wood flooring can help in saving a lot of money and they do provide variety of benefits and the necessary attraction and beauty to your home. Basically, if you check out floating engineered strip flooring, it is made of various layers of wood which are separated into three main sections – base, core and the top layer. Here, the core of the strip flooring constitutes of three to seven layers of either medium or high density plywood or fiberboard. This is sandwiched among the top layer of exquisite hardwood and the base of the non-ornamental wood. Furthermore, cheaper materials are often used for creating the core and this makes this kind of flooring cheaper. So, you get a layer of hardwood which provides the homey comfort that you always wanted for your home. 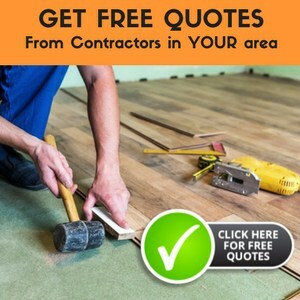 Even there are another various benefits of engineered flooring when compared to the hardwood flooring which you might have to consider while making the purchase. Now if you are buying flooring for your kitchen, basement, bathroom or any other kind of moisture prone area, then no doubt, the floating engineered strip flooring will be quite beneficial for you. Here the basic layer of flooring which makes up the engineered flooring will simply expand and get contract because of the moisture exposure. And in the hardwood, it is entirely different as it ripples and buckles when coming into the contact of the water. Now what happens is any person who is casually looking at the floor will not be able to differentiate between the solid hardwood flooring and engineered flooring. The major reason for this is because the top layer is made of hardwood. It is the real hardwood with all its beauty and charm. The best part of using hardwood is, it provides comfort, warm, and the major impact of the hardwood flooring is that is quite cheap. With regard to installation, the floating engineered strip flooring is quite easy to install and you can use the do-it-yourself method. Since it is a floating floor, it means that one does not need to use any glue or nail. First, here a moisture barrier will be laid on the existing subfloor or flooring which makes it flat and free from debris and dirt. Once that is done, you will need to simply put out the strip flooring, get it cut so that it can fit wherever needed. You can get the strips locked together in order to create an enchanting and best floor for your home. Basically, this is simple to do and will just take less time for you to make a huge impact for your room as well as your home. No doubt, floating engineered strip flooring is quite advantageous to use if you are really thinking of updating your existing home or adding warmth to your home. Of course, there are wide varieties of floating engineered strip flooring but one does need to check out the quality. With various online shops selling strip flooring, there are chances that you might end up compromising on the quality. In that case, you need to be on a cautious approach. Definitely you won’t think of making your home look disastrous and worst. If that happens then it could really pull down your reputation as well as make your life uncomfortable in living in such a house, which has damaged flooring. Also, the stain choices of floating engineered strip flooring can vary in terms of color. From the light dark to the require color can be gotten from the choices that you have upfront. Plus you do need to keep track of the budget. Being on a tight budget means you have to be careful on your selections.